Brown sugar contains from 3.5% molasses (light brown sugar) to 6.5% molasses (dark brown sugar) based on total volume. 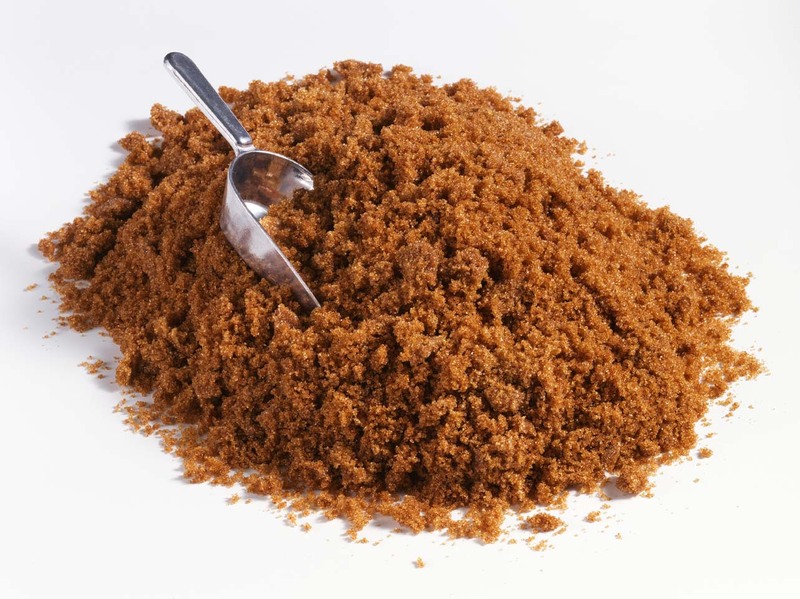 Based on total weight, regular brown sugar contains up to 10% molasses. The product is naturally moist from the hygroscopic nature of the molasses and is often labelled as "soft." The product may undergo processing to give a product that flows better for industrial handling. The addition of dyes and/or other chemicals may be permitted in some areas or for industrial products. Particle size is variable but generally less than granulated white sugar. Products for industrial use (e.g., the industrial production of cakes) may be based on caster sugar which has crystals of approximately 0.35 mm.